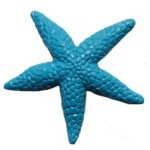 Make sure you have a good set of plastic fish and sea creatures. 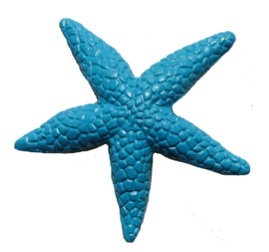 Accessories include shells, sand, water/ice. 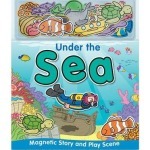 You can set up your ocean scene in the bath or a small plastic bowl/tub. 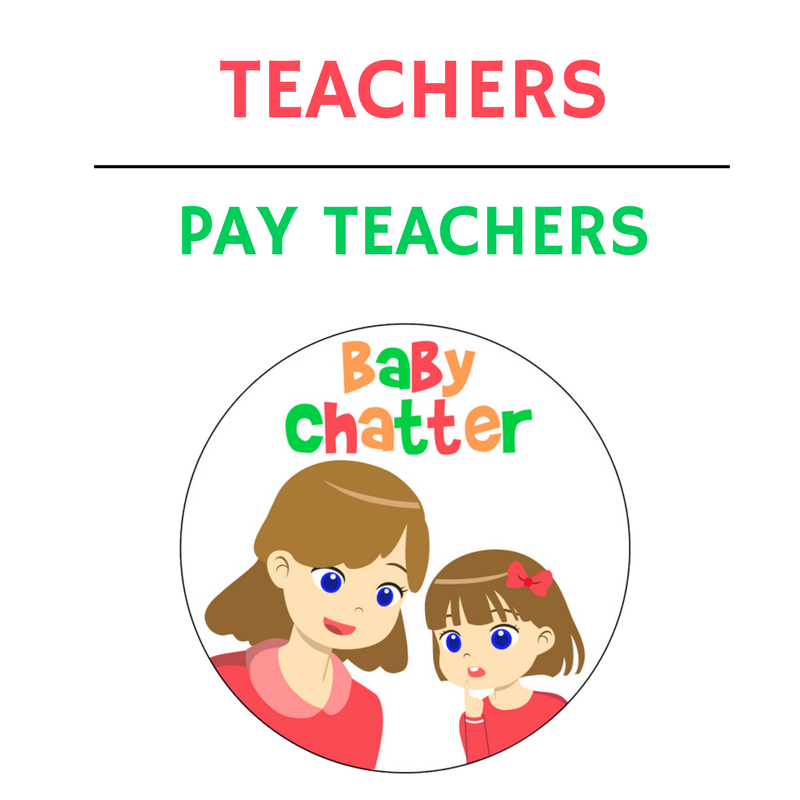 In the following activities, you will find word prompts and strategies for encouraging sounds and words and phrases from your child. Beach in a Tub – Use all your plastic fish, sea creatures and shells to make an ocean. Lots of wonderful vocabulary to learn! Paper Plate Jellyfish – Make a jellyfish from a paper plate and coloured paper. Great for learning adjectives and describing words. 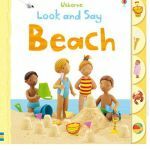 Making Sandcastles Sequence – Use the sequence photos to make a story about sandcastles. Our list of picture books to read to your child are aimed at babies, toddlers and late talking preschoolers. 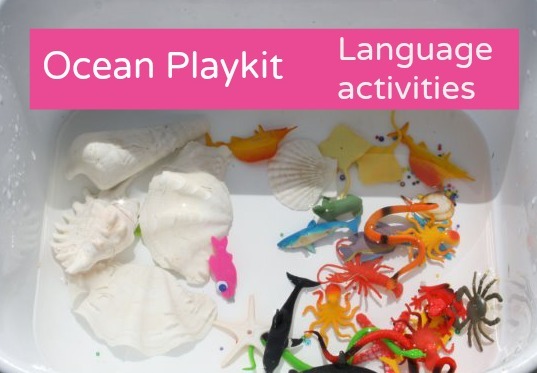 This can be another great way to practice words associated with the beach and ocean. Ocean Language Booster – download a 20 page photo illustrated Parent Guide to helping your child learn to talk. It includes many of the activities listed on this page as well as some further explanations of how children can be encouraged to develop their play and language skills.